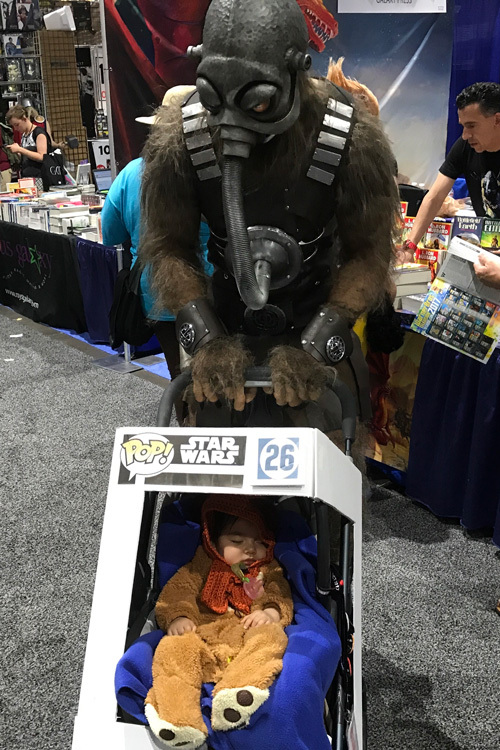 as well as Star Wars characters Chewbacca and a baby Ewok! 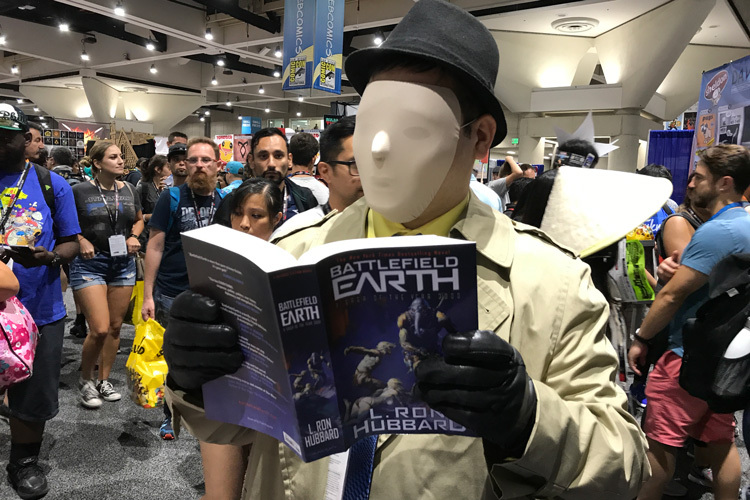 And then there were the ones we weren’t really sure who they were–but they were definitely fans of Battlefield Earth. 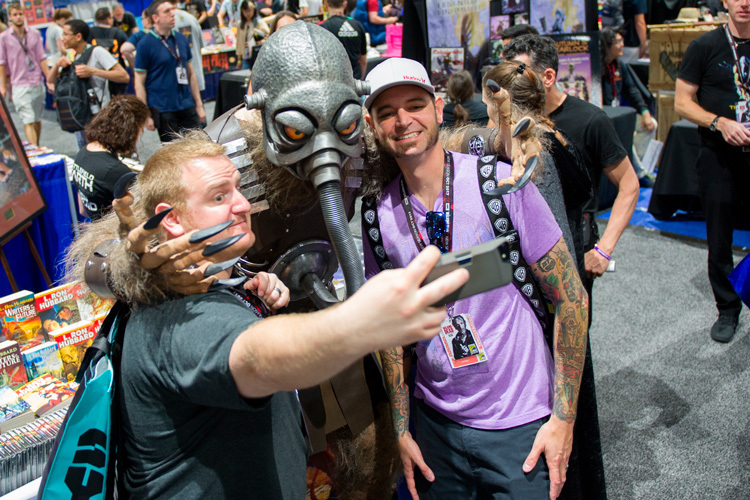 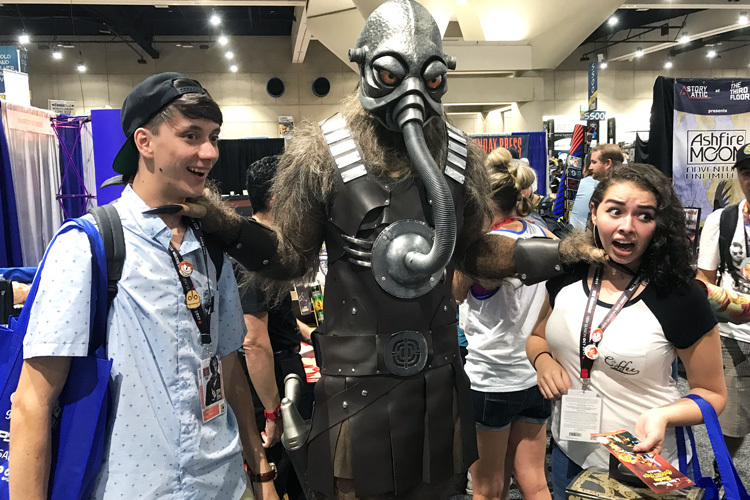 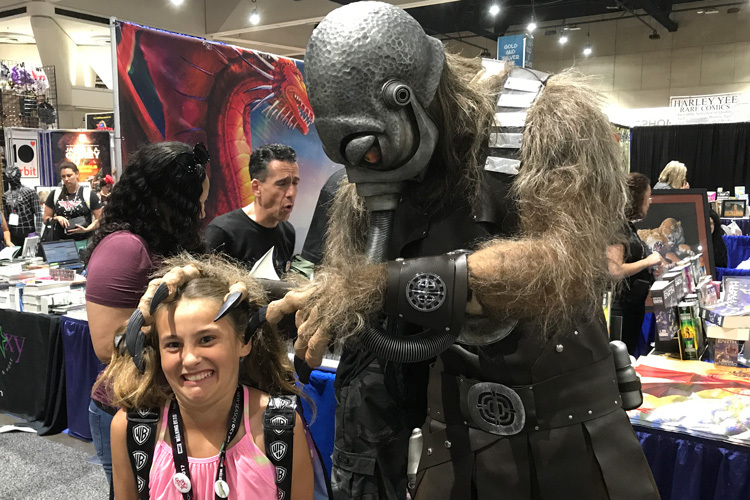 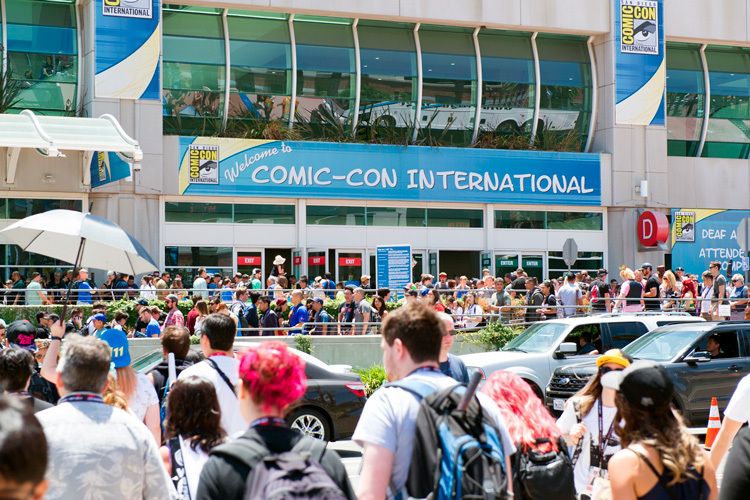 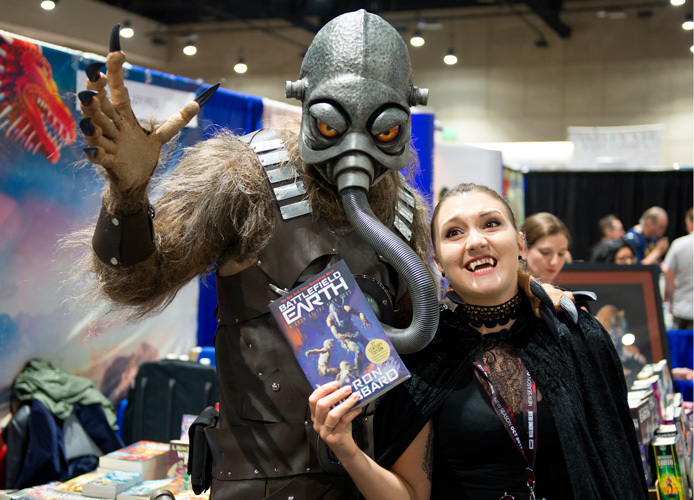 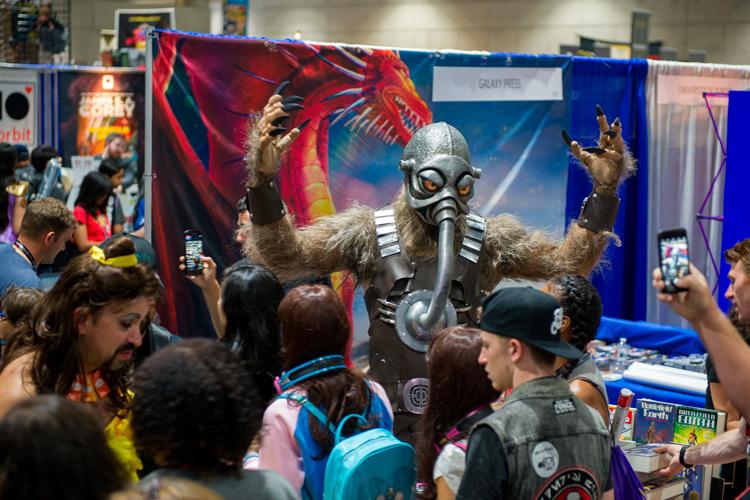 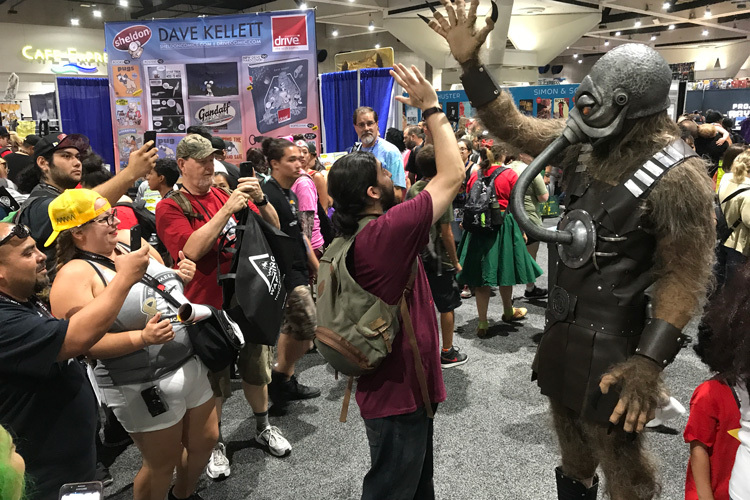 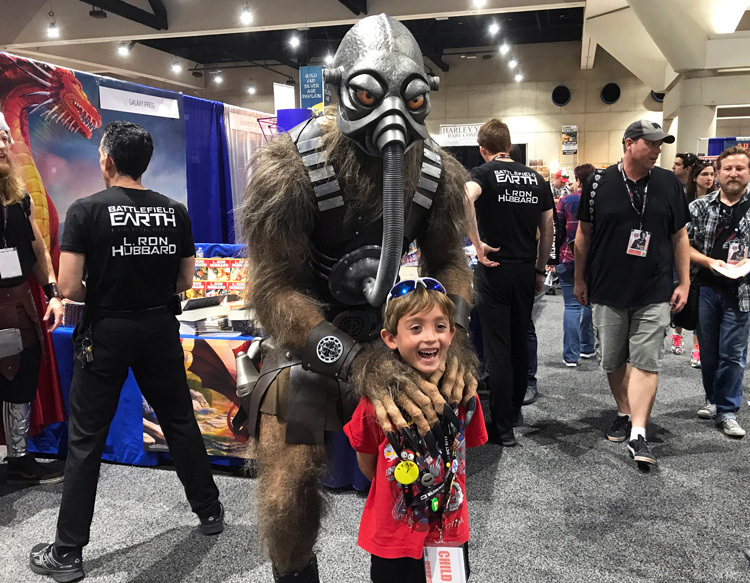 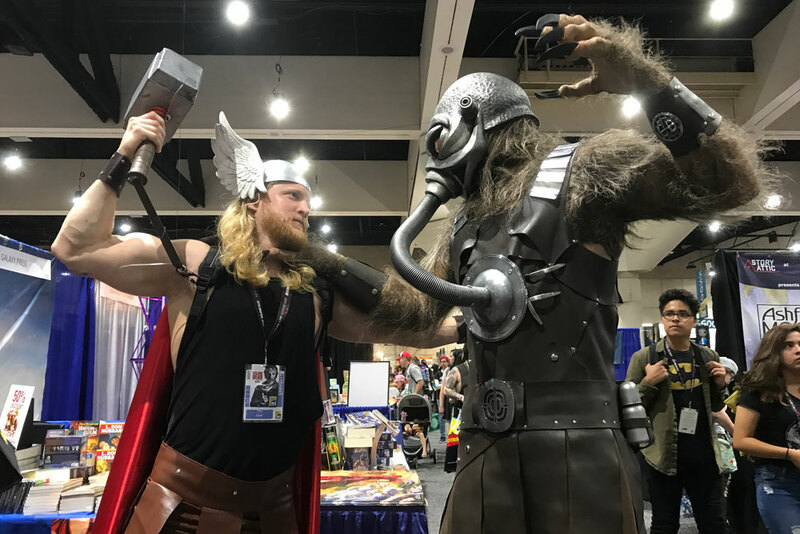 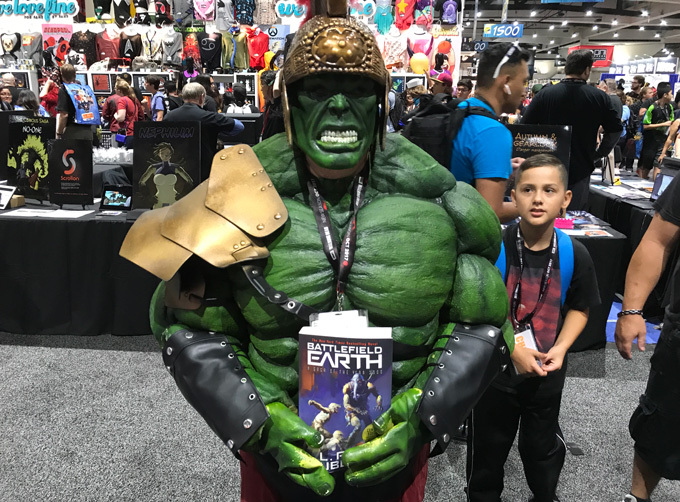 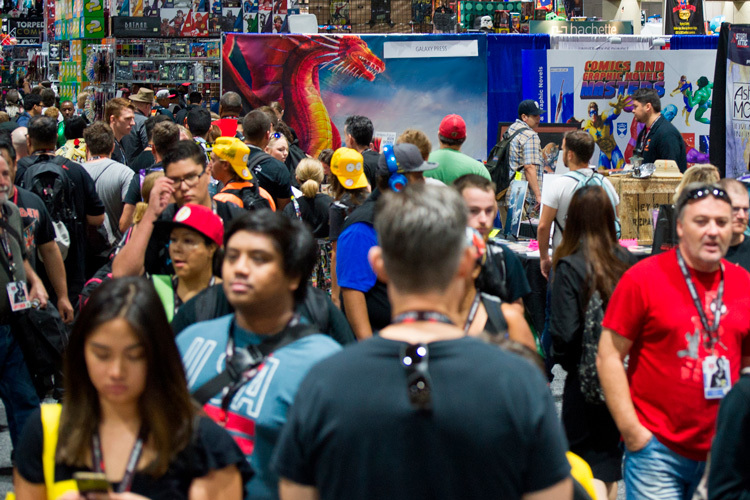 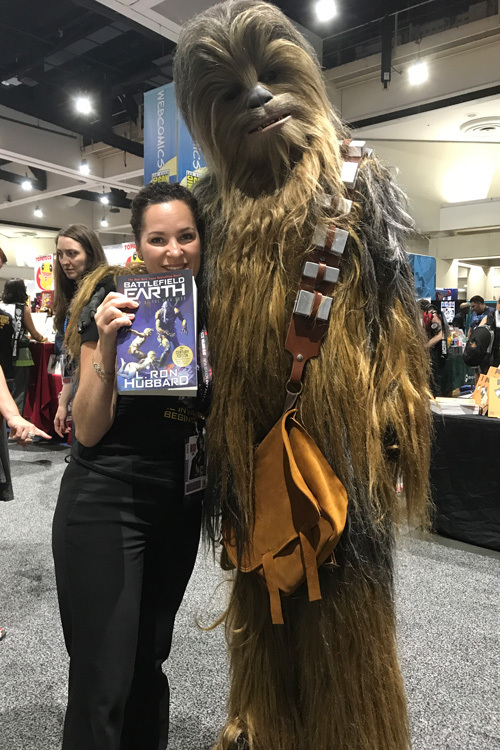 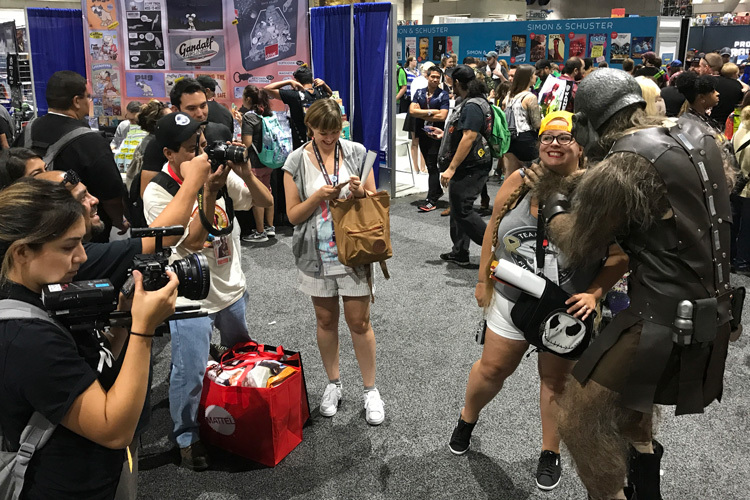 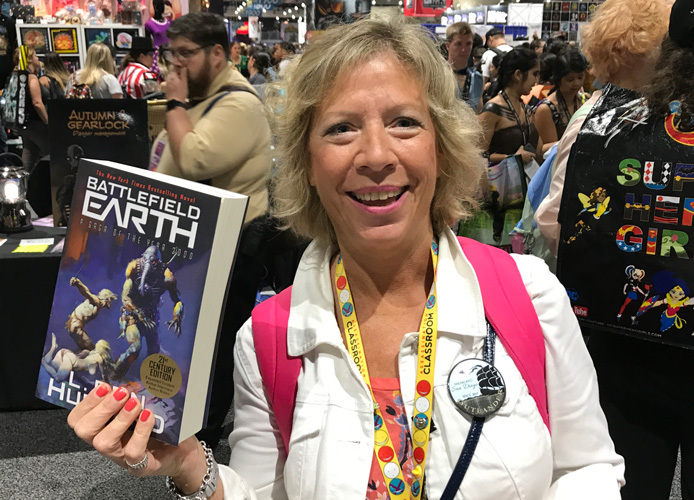 With over 130,000 attending this year’s Comic Con, Galaxy Press found itself constantly inundated with fans wanting their copies of Battlefield Earth, along with Writers of the Future and the Stories from the Golden Age. 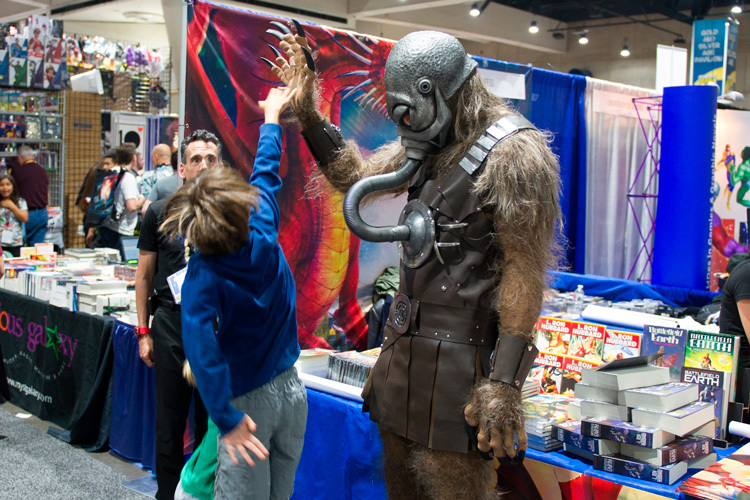 As it turns out, Terl isn’t just a Psychlo–he’s a total ham!